Today I have some sad news to share. 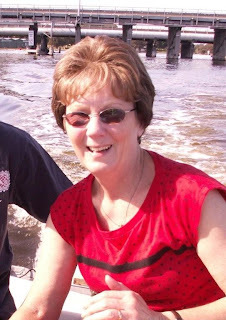 My mother in-law who has been fighting her third bout of Cancer lost the fight last Friday morning. She had been staying with us for 3 and a half weeks prior to her last week spent in hospital. We are glad for this extra time we have had with her, but grateful for her not suffering with the illness for much longer, even though we will miss her greatly. She was an amazing woman who tried to do so many things in life. This photo was from her recent trip to visit us in Perth. It is a great photo (which I have cropped) of her and my husband. I have been meaning to scrap it for ages, and have learnt a valuable lesson.... try not to put off the important things like these memories. I am thankful for the fact that this was only taken about 9 months ago, so at least those memories are still quite fresh in my mind. I definitely ran out of time this year when it came to Christmas cards, so only got them done for our parents and brothers and sisters. I made them over Christmas eve and Christmas morning... I know - nothing like the last minute. 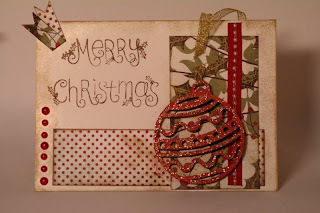 I kept them pretty simple, but decided to give them something to keep from them by making a christmas ornament that could be taken off the card. Lets face it.... not everyone keeps the cards we make!! I thought at least this way they have something that would have from year to year. 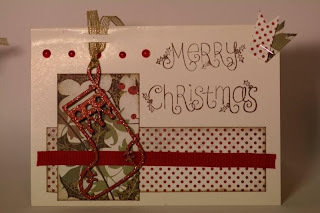 My challenge to myself for next year is not only to get them made HEAPS early, but also to make them with the thought in mind to have something worth keeping off the card like the decoration I did this year... Lets see how I go with that and having a 6 month old baby around next Christmas!! 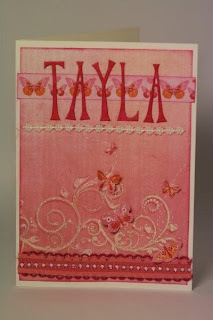 I made this card to match the letters I gave to baby Taylor that was born just before Christmas. 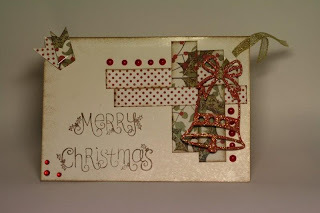 I really liked the idea of matching the card to the project I was giving as a present. 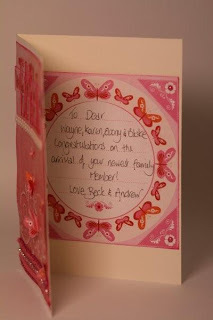 It was also useful to us the journal cut-out that comes in the flutterby range of papers for the inside of the card's writting. It didn't give much room for writing a long message, but I loved that it matched the outside.